Posted in: Uncategorized. Tagged: futures, Options, scott murray, uvxy, VIX, Volatility, VXX. Weird day as the S&P climbed oblivious to the halted Nasdaq. Considering how many Nasdaq stocks are in the S&P 500, it was interesting that the S&P rose 6 points while the Nasdaq was offline. Most folks say that this will hurt confidence and do damage. I say no way, people will forget this and move on quickly, Main St. doesn’t care. Did the Flash Crash change anything? Realistically, like Buffett likes to say, if the exchange was closed for a month it wouldn’t matter to him, and that is how Main St. should be thinking anyway. 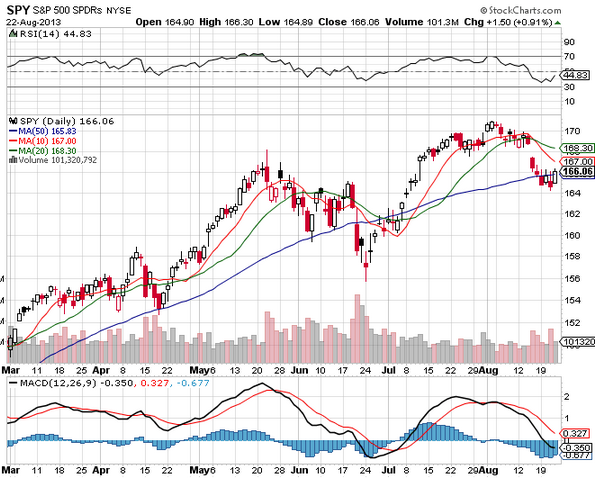 Buy Sep $38 for $4.60. Net debit roughly $2.85. This has heavy theta working for you and you can sell against your long for 4 weeks. You could nearly pay off the long position in two weeks and get a free runner into the Fed meeting Sep 17. 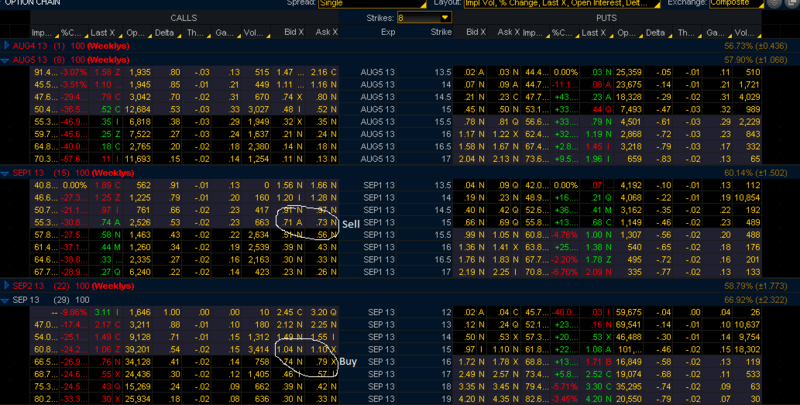 Sell the Sep 6th, and buy the Sep 20th calls for a net debit of .06. 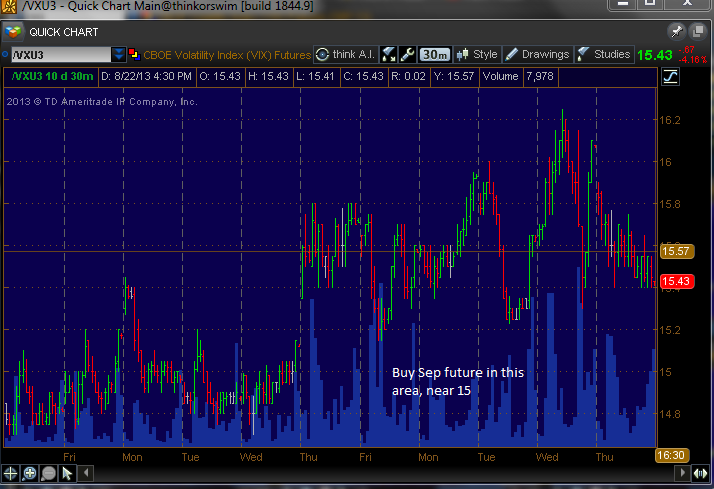 This would work perfectly if the VXX sits at $15 on the Friday after Labor Day, then you let the long calls run.